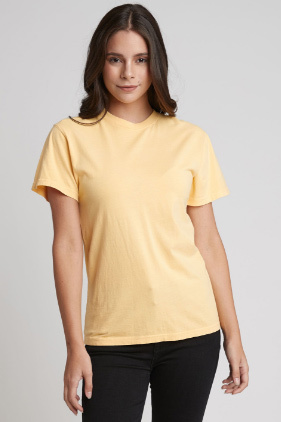 100% combed ring-spun cotton, 24 singles 5.4 ounce inspired dyed t-shirt. Garment dyed. 1x1 baby rib set in collar with front cover stitch. Side seemed. Twill tape at the back neck. Unisex fit. Tear away label.